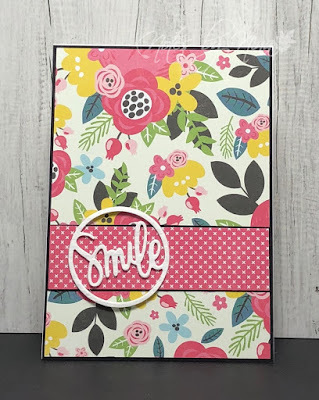 I created this smaller notecard for a friend, I love the fun and cherry paper and used both sides of a single piece. I die cut the sentiment three times to give it thickness. 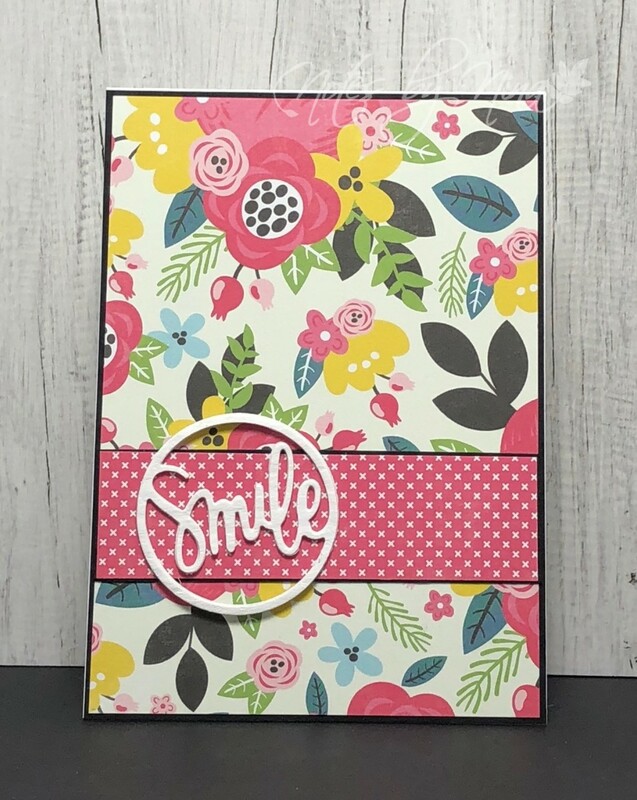 Supplies: White and black cardstock, Designer Paper-Echo Park, Simon Says Stamp - Smile.